Another week that was a bit meh, but some good things happened as well. I had another headache this week, there was some trouble with my e-mail (which luckily got fixed quickly when I finally managed to get in contact with a support team member) and I had to stand up early one day. But I read some great books and have been in a great reading mood lately. And I finished a coloring book page from the Amanda Lester coloring book I got a while ago, scroll down to see the picture! I also baked some cookies again with flax seed egg. It was a decent week for work. 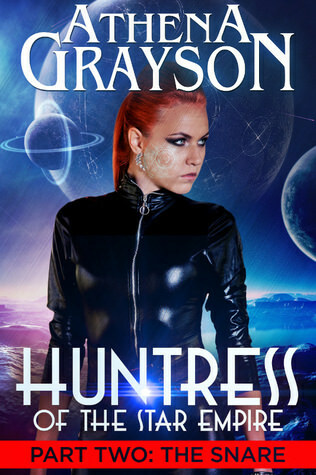 I put a new sign-up posts live for a blitz end September, I had a tour and two cover reveals run this week and did some assistant work as well. 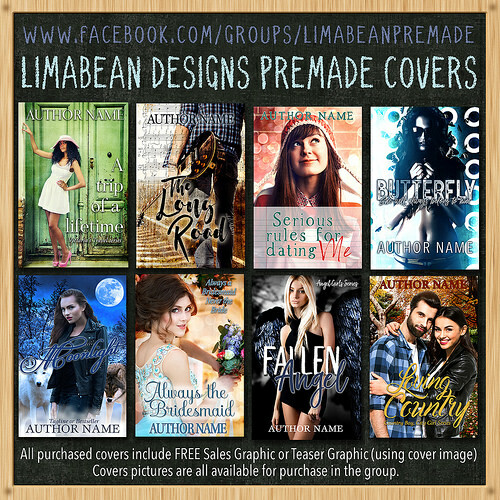 I also managed to finish up my bookstagram e-mail and send it out to my author newsletter. On Monday some people from a second hand store came to pick up our old table and chairs. For a while we kept it in the hopes of being able to give or sell it to someone who could use it, but as we didn’t knew anyone who wanted it, we decided to donate it now to a second hand store. It did mean we had to stand up early, when they came to pick up the table. 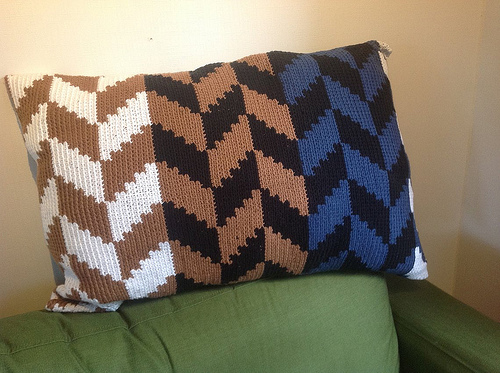 So after that I finished most of the work for the day and then took a nap, which helped a lot. 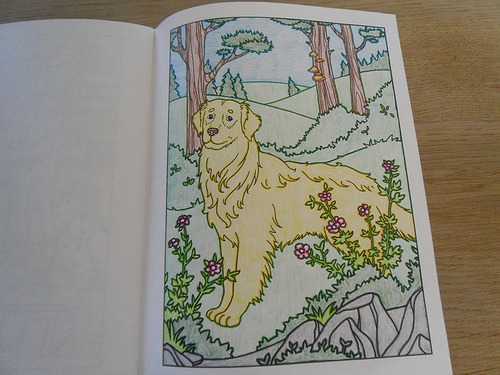 I finished coloring a page from the Amanda Lester coloring book I got. This page features Nigel, who is a guidance dog for side character Ivy in the books. I tried a new technique for this one using fine liner pencils for the borders and other type of pencils for the rest. I think it turned out pretty nicely, although some of the greens are a bit too close in color. 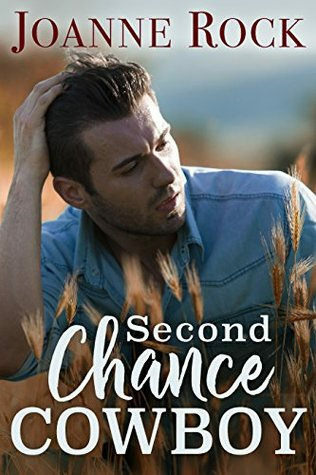 Second Chance Cowboy was a fun read and I’ll review it next week. 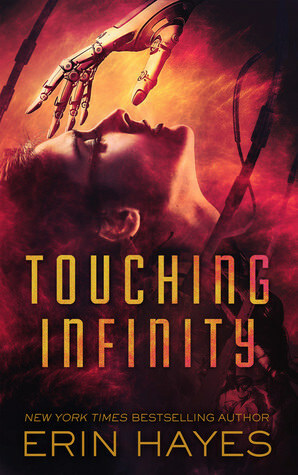 Touching Infinity was a tad dark at times, but I was really involved in the story and the characters. It was a great read and I am curious about book 2. The Snare was really good. I am hoked on this series and bought book 3 hen I finished book 2, so I can start that soon. 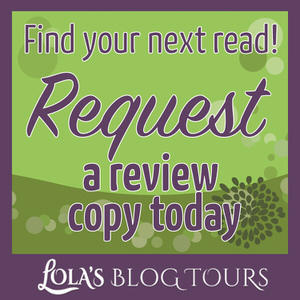 – Lola’s Ramblings: Do you clean out your pile of review books? – Book Blitz: Ugly Beautiful Girl by Tracy Krimmer – 27 September till 3 October – New! The Irish getaway I got for review from the author and am currently reading that. I got a lot of books from netgalley this week, Christmas at cade Ranch, Dial Meow for Murder and Atlantis I all got from netgalley. 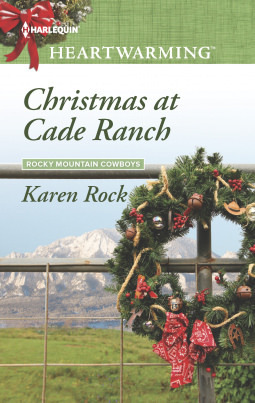 Christmas at Cade Ranch and Dial Meow for Murder are books by authors and series I already started and was so happy to see them on Netgalley. 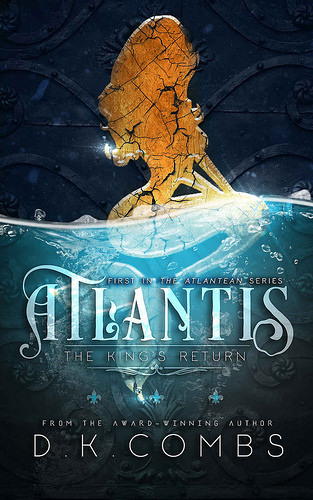 I liked the sound of Atlantis as I enjoy a good mermaid story and decide to request it. Holiday Wishes i got through Edelweiss and is part of a series I am reading. The Catch I bought as I am really enjoying this series and want to know what happens next! It’s fun to see the Christmas arcs appearing on Netgalley. Glad you had a good week (apart from the headache and email). And I’ll be interested to see what you think of The Irish Getaway. 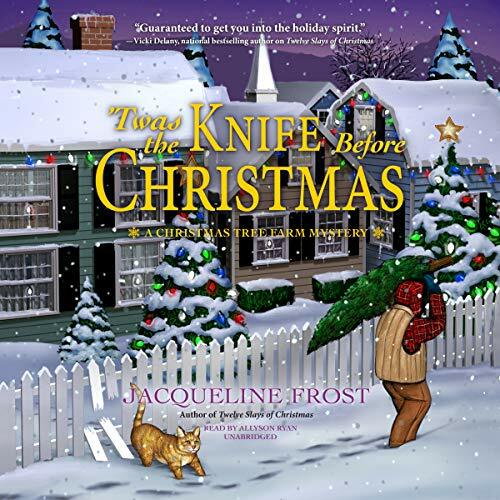 I agree it’s fun to see the Christmas ARC’s starting to show up on Netgalley and Edelweiss now :). I definitely would appreciate a week without a headache. 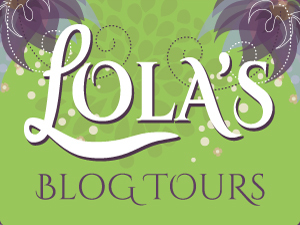 I’ll keep an eye out for word from you about a blog tour :). I saw Holiday Wishes but then I saw it was part of a series, it sounds really good. I hope you it and the rest of the new books you received. I really need to pick up new adult coloring book. Our is all colored up. 🙂 Have a wonderful week. It is a series where each book features another couple, so Holiday Wishes probably would work as a standalone too. It is a great series so far :). I hope you get to pick up a new coloring book soon. The author is holding a giveaway for this book on GR if you’re interested in entering :). 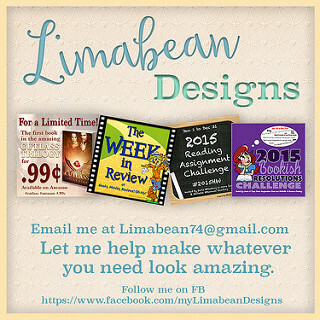 Sorry about the headache and email troubles. I went to bed earlier last night with a headache, but was glad it was gone by morning. Nice pile of reading you got done and cute colored page. If the furniture is still is good state I like to give it away or donate it. It was just too bad about the early pick-up time, but at least I could take a nap later in the day. I had fun coloring this page :). 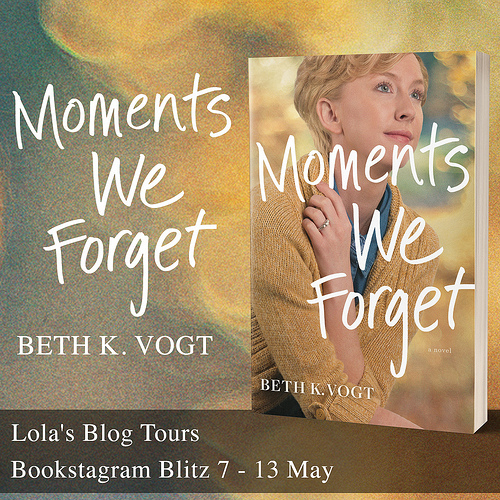 I definitely had a weka moment for Netgalley this week just like you. But two of those were books in series I already started and know I will probably enjoy. Yes headaches are really nasty and make it so hard to focus. The cajun pasta is really good :). Thanks! Yes coloring is quite relaxing and fun to do. It’s been a while since I colored so it was nice to get back to it for a while. I hope to color another page soon. Sorry to hear about your headache. I’ve been having headaches too and I think it’s from working on the computer for long hours. I close my eyes for a little bit once I get home, so I haven’t been reading a lot lately. Good think I listen to audiobooks or I wouldn’t get any reading done lol. Your new books look good and now I need to head over to Netgalley and Edeilweiss to look for holiday books lol. I hope you have a great week!! I’ve been trying to pay more attention to sitting correctly behind my computer lately as I hope that will diminish my headaches. The doctor said I have tension headaches, so probably because of sitting too tensely behind my computer. It’s so fun to see the holiday books pop up already :). Sounds like you had a good week and I like your book haul. Hope you enjoy them. Thanks! It really was a great haul, all are books I really want to read. it looks like you have grabbed up some good books, including some Jill Shalvis. Sorry to hear about suffering headaches, they are the WORST. Great coloring page, I just love coloring. It is so much fun. 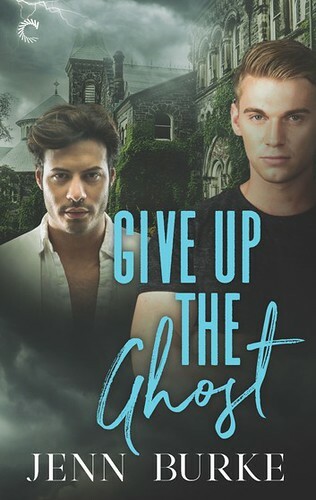 I really like this series by Jill Shalvis so far, so I am curious about this latest novella. I am working on my posture when sitting behind my computer as I think that’s causing a lot of my headaches, but it’s difficult. I don’t make as much time for coloring, but I really enjoy it. This page was fun to color. Glad it was a decent week, although headaches= no fun. And yay for great books! I’ve had a few good ones and now I’m in a mini- slump, hopefully something this week will shake me out of it! Dial Meow for Murder and Atlantis both look interesting to me. I haven’t read a cozy in ages. Luckily this week was without headaches :). And last week was a great book haul. Those reading slumps are always annoying, I hope you get out of it soon! 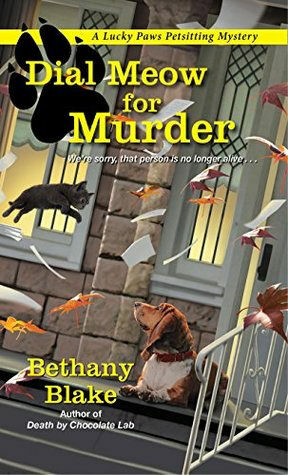 I already finished Dial Meow for Murder and it was really good. I had fun coloring that page. It’s a great coloring book. I spy holiday arcs..LOL Glad this week got better and you’ve been happy. Nice to donate like that, I am sure some family will be grateful. Naps are the best! It is fun seeing the Christmas ARC’s pop up already :). It always was the plan to make sure someone else could use the table and when we couldn’t find anyone we knew we decided a second hand store would be a good place to donate it to. Sorry about your headache! I hope you have something strong you can take for them. It sounds like you’ve been busy on your blog and cooking! It’s amazing to me that you are eating Cajun food across the world from where it originated! But then, we eat Italian and Chinese so I guess it’s the same thing. Hope you have a week without further headaches! I did take some pain killers and took a nap which helped. The Cajun pasta is a dish I found on Pinterest, I really like it :). It is amazing how you can eat food in totally different places than were it originated. 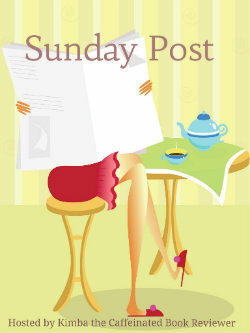 I am behind on blog comments and reading as well. That couscous salad is one of my favorite dishes and I make it regularly. 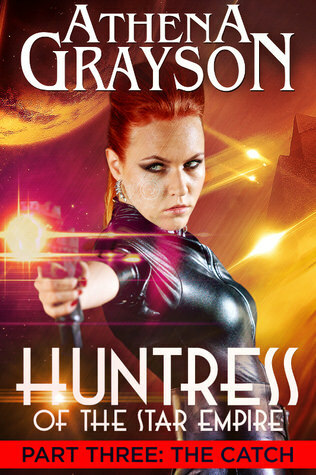 I’ve read 3 of Athena Grayson’s book so far and they are great! I think you would like her books. I hope to finish this series soon so I am fully up to date on her books.